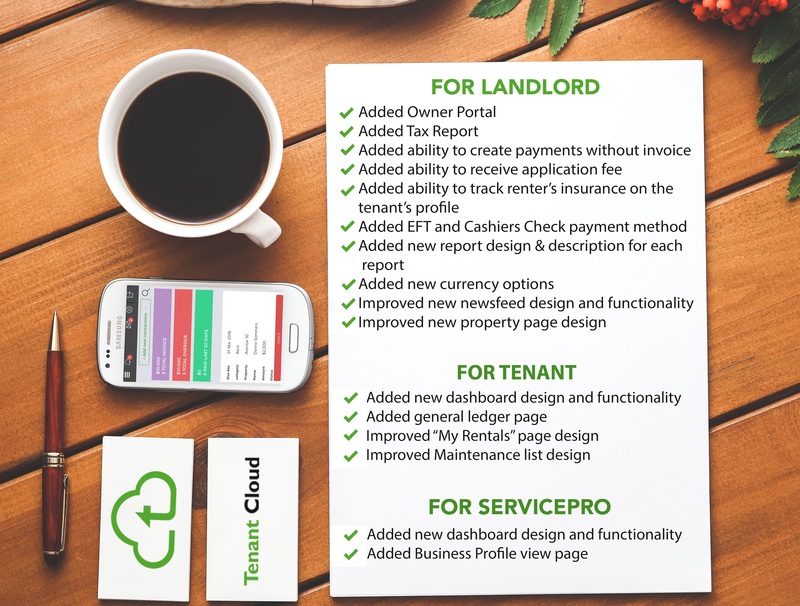 These past few months we have been working hard and intense to keep up with all requests you have sent to TenantCloud. It is amazing that you guys have so many ideas and feedbacks. It really feels that we work as a true team! Thanks for your patience and all your kind words. Let's keep moving and make life easier for every landlord and every tenant! The new currencies added are Malaysian Ringgit - MYR, Poland Zloty - zł, Czech Republic Koruna - Kč and United Arab Emirates Dirham - AED. Also, we’ve improved the TenantCloud messenger and made the connection process easier for all the portals. We always take your feedbacks into account while making the new improvements. So, if you have any other suggestions, please, let us know. Also we would love to hear how you like our brand new home page design ;).